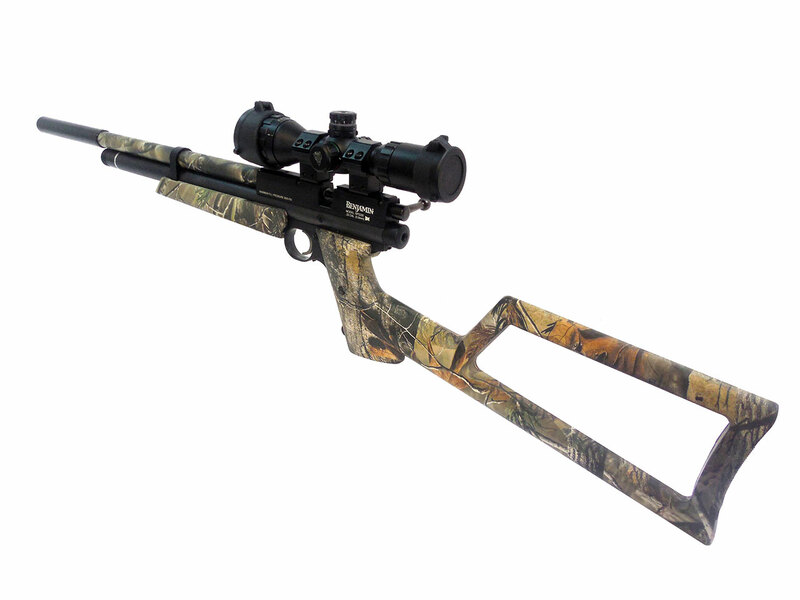 This (pre-owned) .22 caliber Benjamin Marauder Woods Walker comes with a UTG 3-9 x 32 AO Bug Buster scope, and Hill Airgun moderator which keeps it very quiet when firing. 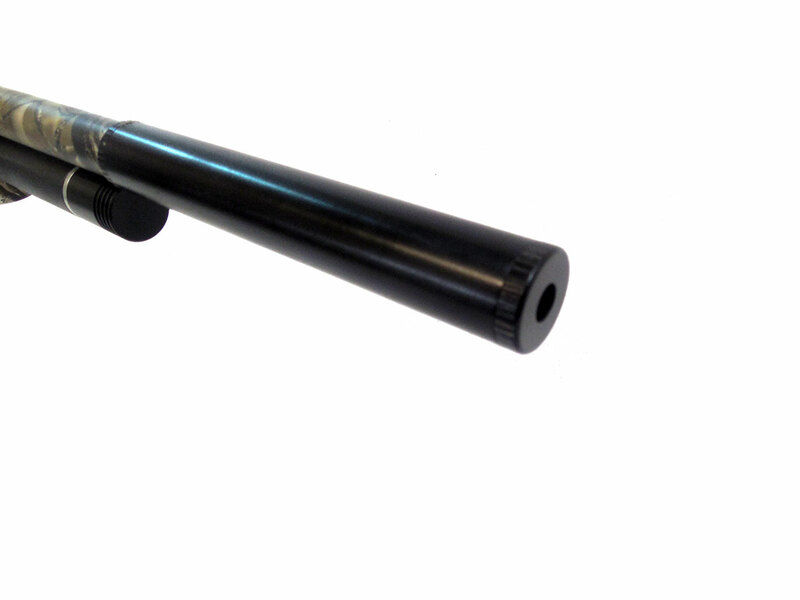 It also includes 3 ammo clips which are not shown in the photos. 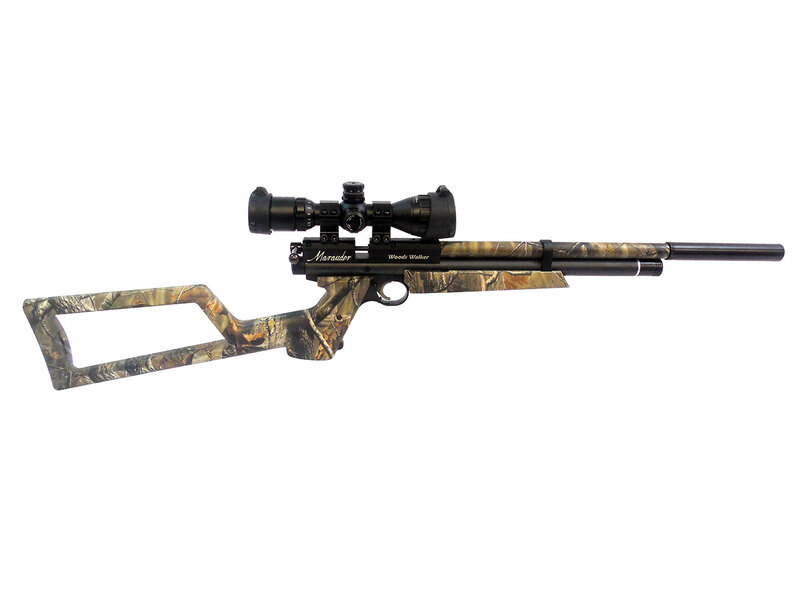 The Woods Walker pistol unleashes magnum power in a package small enough to fit in your pack. 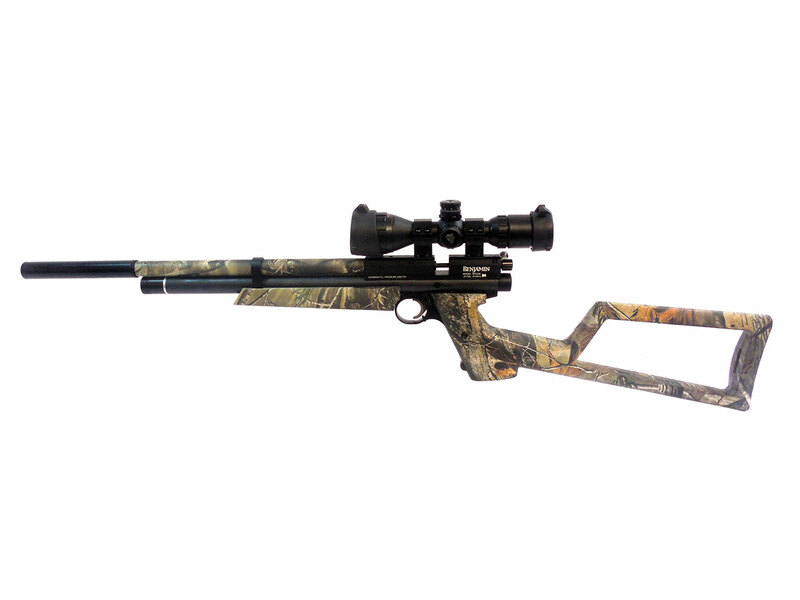 It has the authority to take small game and varmints, and if you need it, this repeater will give you a precise follow-up shot. 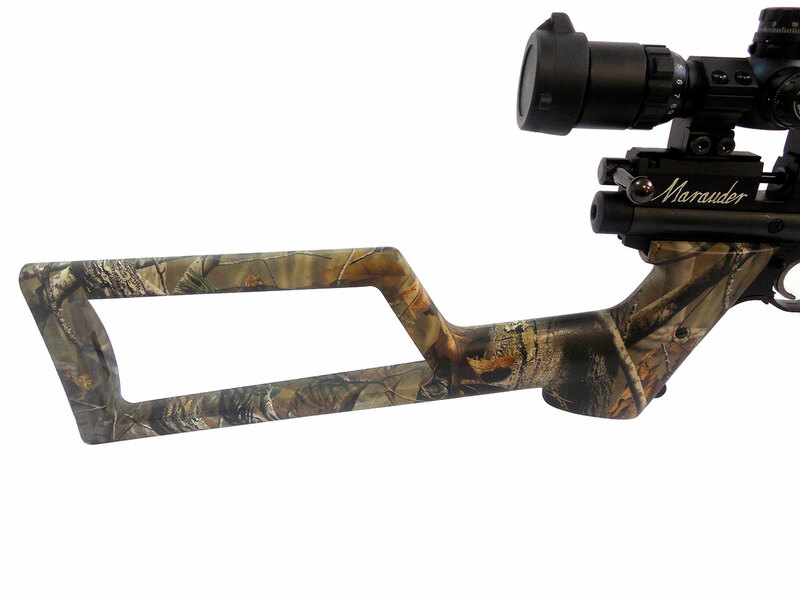 The Realtree® AP camo ensures you won’t be easily spotted. 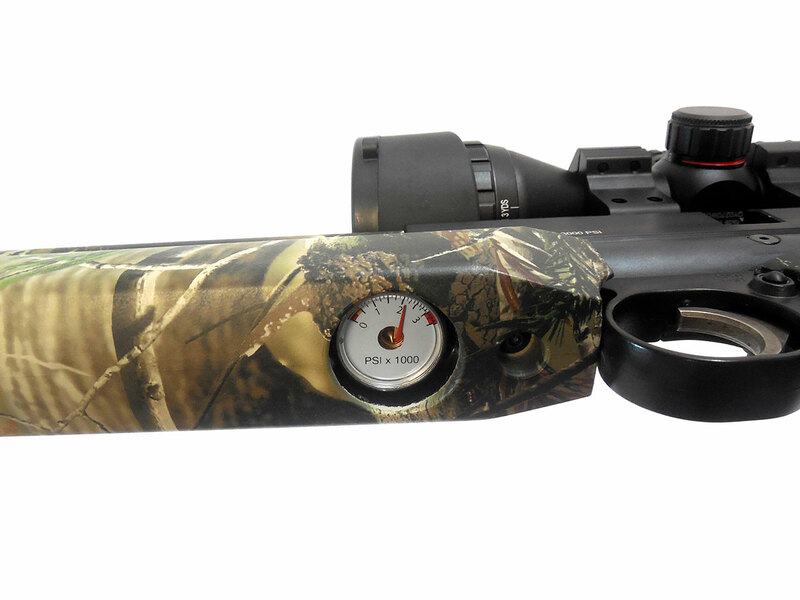 The pistol features an 8-shot rotary magazine and a crisp 2-stage trigger. 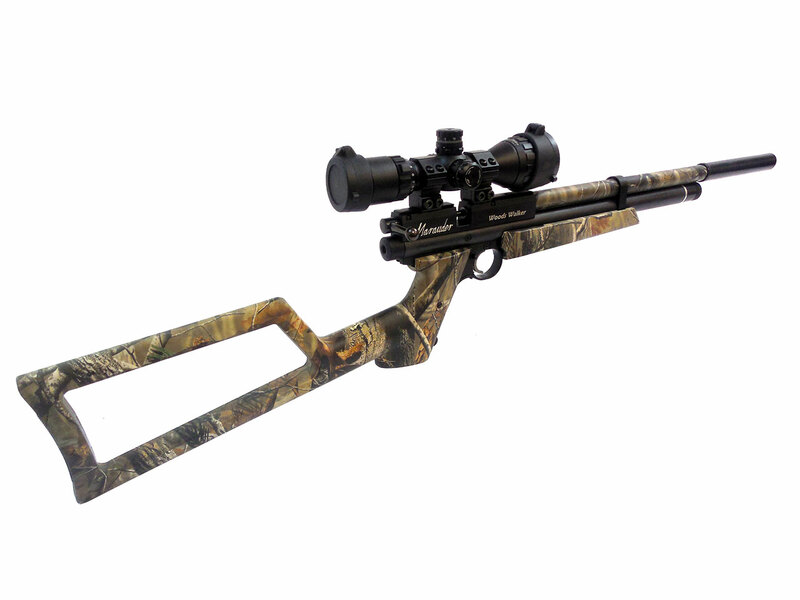 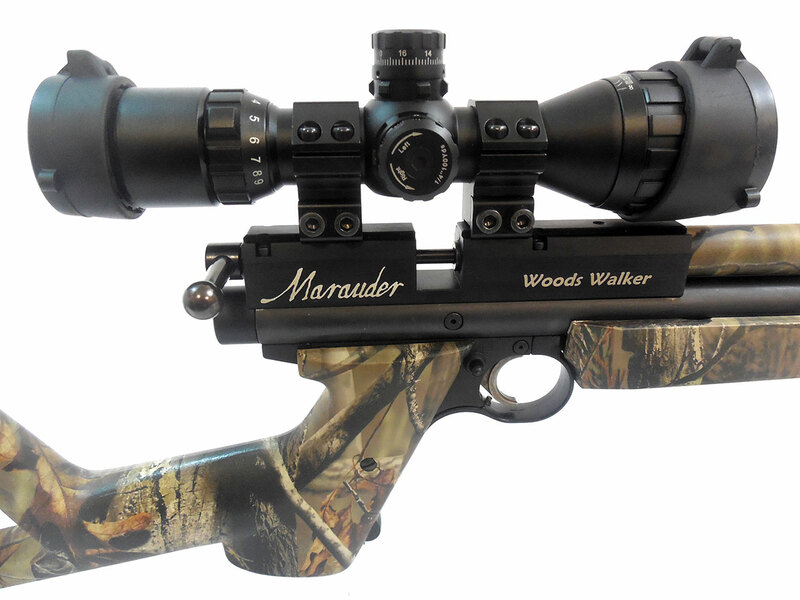 The Marauder Woods Walker is the perfect deerstand airgun for taking care of those pesky squirrels while waiting for The Big One. 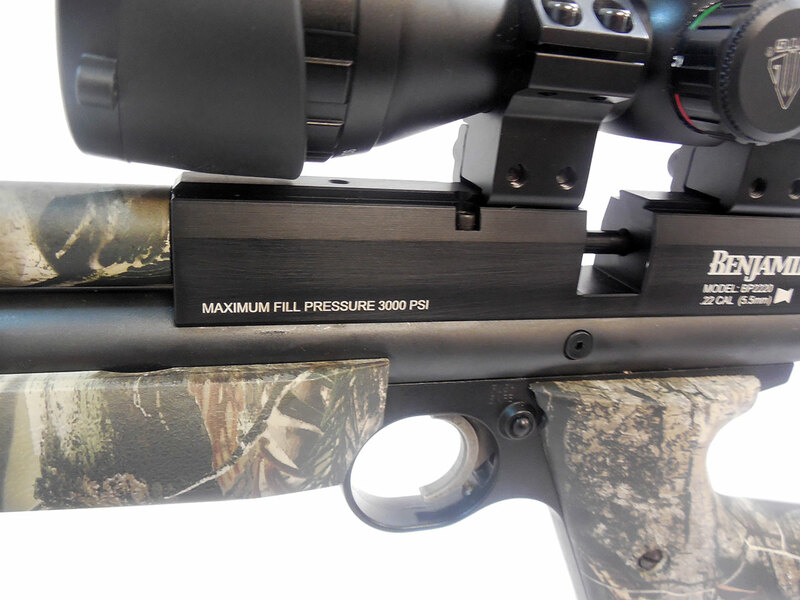 Driving pellets at 15.5 fpe means it’s just as well suited pursuing raccoons and rabbits.